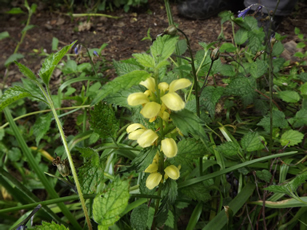 Saturday 21st May was the date of our circular walk. The weather was fine and not a drop of rain was encountered! 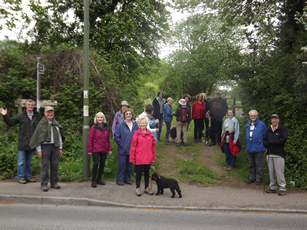 20 fellow walkers and three dogs led by Libby set off from All Saints’ car park. We walked through Kings Wood where the bluebells could still be seen. 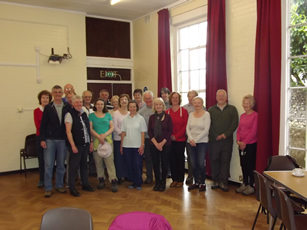 The walk took us through to Warlingham and back to Sanderstead through woods, parks, fields and roads. Even two stiles did not deter us! The added bonus was we had sight of a dog show. 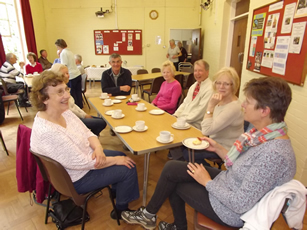 After our two hour walk we returned healthi-er to All Saints’ church where we were served refreshments and cake! 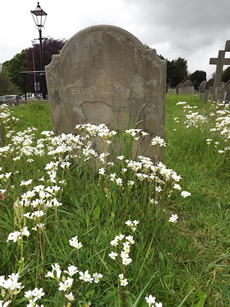 The flowers are Meadow Saxifrage in the All Saints Churchyard, and Archangel on Riddlesdown.